After all his years in music, Christopher Bakriges has finally emerged into the critics’ gaze. 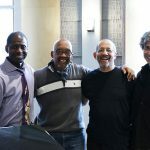 He began playing professionally beginning in Detroit in the early 80s with the likes of Jaribu Shahid and Tani Tabbal, later performing and directing Jazz Alive, the only live jazz radio program in America from New York’s capital in the early 90s and in Toronto for the remainder of that decade, and throughout the U.S. in our current century. Throughout all these years he has maintained a singular vision that grows even more illuminating as his long overdue recognition is realized. Jay Hoggard, Billy Arnold, and Avery Sharpe are kindred spirits who have also survived their share of belated acknowledgement even though their busy and diverse resumes indicate considerable success. 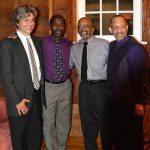 Each learned their craft in the bands of music’s vanguard artists [Jay’s long list of credentials include Dizzy Gillespie’s Big Band and Chico Freeman, Billy with Motown’s Junior Walker and the All-stars, and Avery with Art Blakey and the Jazz Messengers and McCoy Tyner]. This group’s formation couldn’t be better timed as America is beginning to see the value in its creative music. This particular quartet format is special and the listener is rewarded with an exceptional set of original music. Introducing all new compositions is a very conscious act for Bakriges and allows the group to fully implement their considerable talents. They tackle these tunes like they’re strangely familiar. 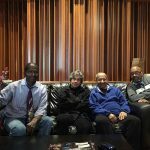 Each piece occupies jazz classic status because the group come from the same writers and players whose were so essential to their individual development. Their collective sound enchants and their solo explorations are exceptional. 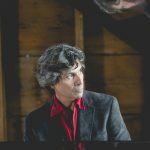 Christopher Bakriges leads his piano jazz quartet down the right places in the new release, Clear And Present…the pianist here with an exceptional band. 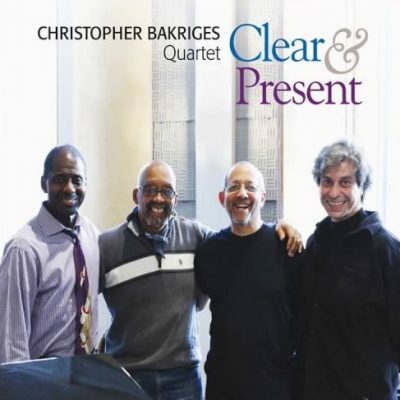 Great original material, magnificent group interplay and fanciful soloing – Bakriges reveals stunningly moving pianism with an intense but clear compositional shape derived from Ahmad Jamal, McCoy Tyner, and the Modern Jazz Quartet. 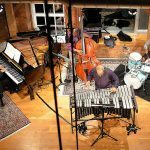 The acoustic fusion pianist with effortlessly dynamic, open-minded quartet outing is a winner from start to finish. Clear and Present is just joyous and wonderful. I hear it and I’m back two thousand years ago in the Village listening to the Modern Jazz Quartet, only now maybe better.